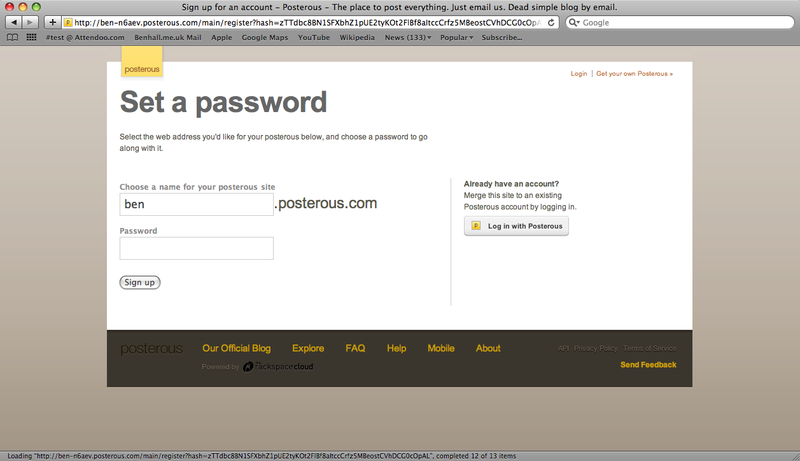 However, in order to get a real URL you need to claim your post by clicking the link. Done! The blog has been created. 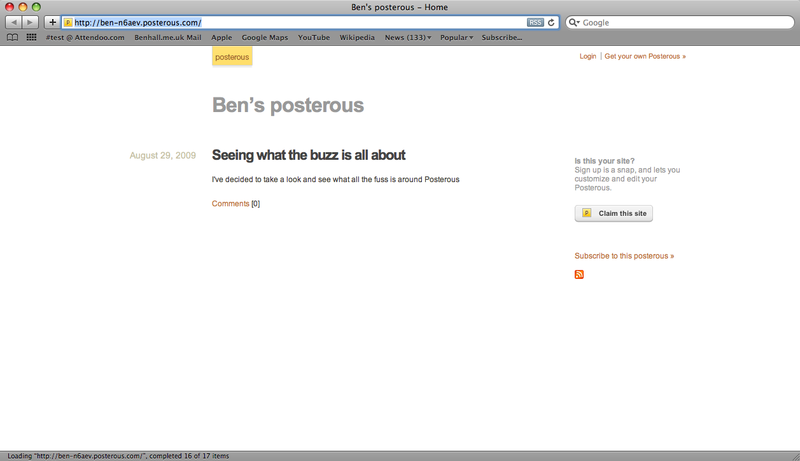 The domain name is http://benhall.posterous.com/ – Feel free to follow what I’m saying. 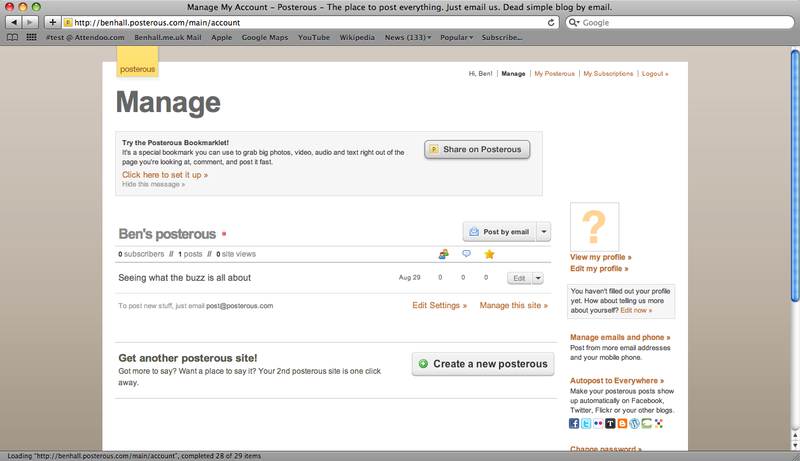 If you want to start blogging, sharing ideas – either personal, or technical then posterous is a very quick way to get started.